Not all staplers are created equal, and considering how we are about to celebrate Easter later this weekend, here is something that you might want to consider picking up in order to be part of the celebrations. Granted, there is no Biblical basis for a bunny in the Easter story, but it has already made its way into tradition, so here we are with the $14.99 Bunny Stapler. 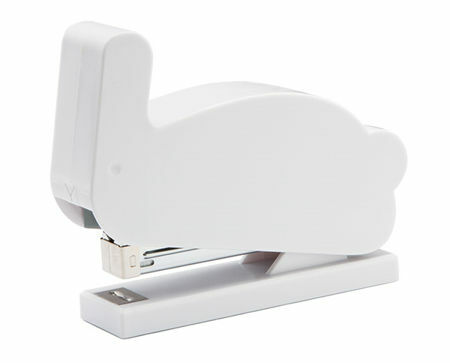 The Bunny Stapler, like its name suggests, is a stapler that looks like a rabbit, making it ideal to attach papers at your office without missing a beat. It is compatible with 24/6 and 26/6 sized staples, and to help you get started right out of the box, it already comes with a set of 26/6 staples.